 NC Truck and Diesel has an extensive selection of truck parts so that we can complete any repair on your truck quickly and get you back on the road fast. 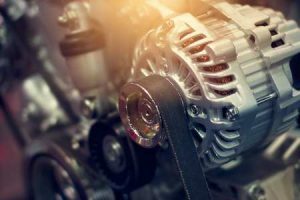 With our array of parts on hand we can complete a repair or replace a part on your truck efficiently and at a competitive price. We also have a good deal of parts in stock so that you can pick up a part or even have it delivered. NC Truck and Diesel consistently provides personalized attention to each and every one of our customers. We know that having the right part for your truck in stock will get you back on the road faster than having to wait around for a part to be delivered. Feel free to call ahead for a part or just stop by. At NC Truck and Diesel, we understand that having your truck in the shop not only costs you money in terms of the repair, but also that being off the road is costing you money. Everyone in our operation understands the importance of getting you back on the road as soon as possible and is committed to that cause. Most of our deliveries happen the day the parts are requested. We have helped hundreds of people get their truck back on the road quickly by keeping our parts adequately stocked and ready to use. As a small company we highly value personal relationships and even built our business on trust and consistent superior customer service. We are always ready to answer the phone or greet a customer who stops by to pick up a truck part. Even if you have to send an email, you can rest assured we will reply quickly. At NC Truck and Diesel, we are fully aware that every minute your truck is in the shop, you and your company is losing money. 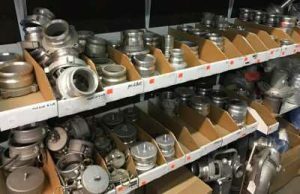 That’s why we are adamant about keeping our truck parts fully stocked so that in the event your truck needs repair and replacement parts, you can be assured that you will be back on the road quickly. Providing personalized attention to each and every customer is of primary importance to each and every person who works at NC Truck and Diesel. Call us any time with a question or just to see if we have a part in stock, We always work hard to make sure that every customer walks away satisfied. Your complete satisfaction is important to all of us at NC Truck and Diesel, whether it involves a tuck repair or a simple pick-up of a truck part. We aim to be your one-stop shop for your truck repairs and truck parts. if you have any questions or even just some feedback, for us, don’t hesitate call us at . You can be assured that we will work hard to help you out.